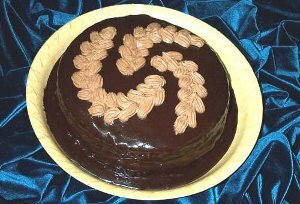 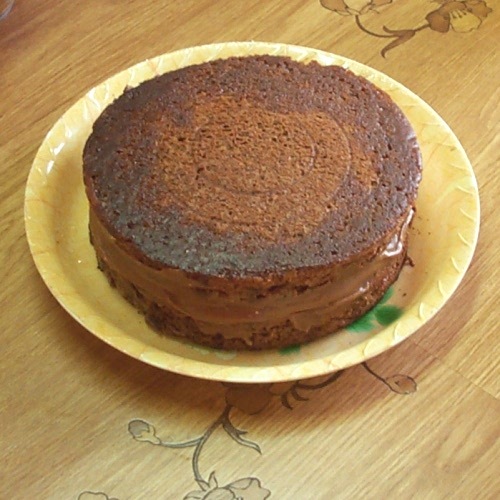 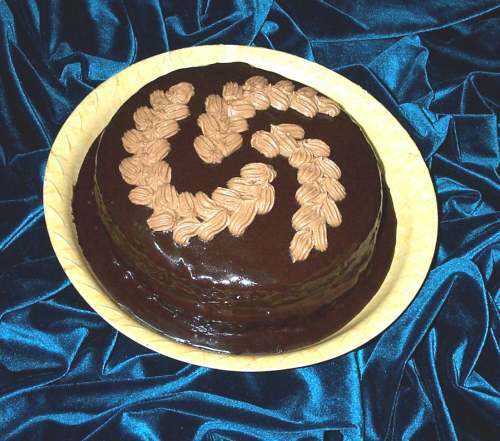 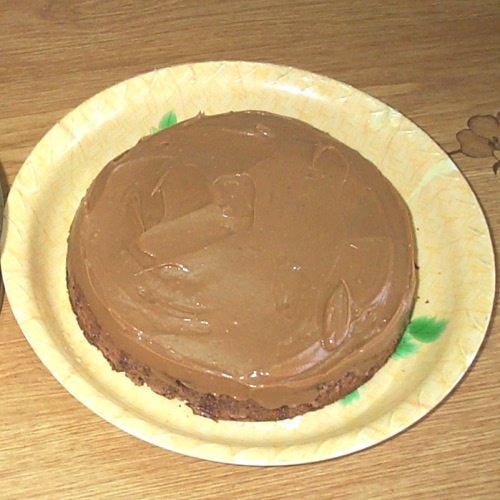 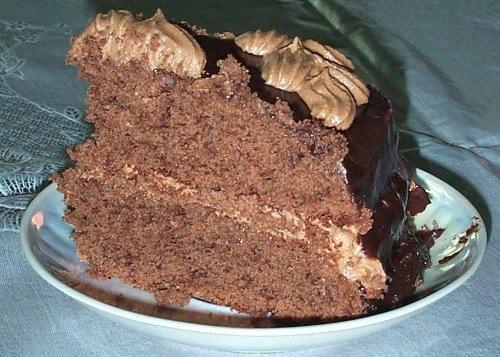 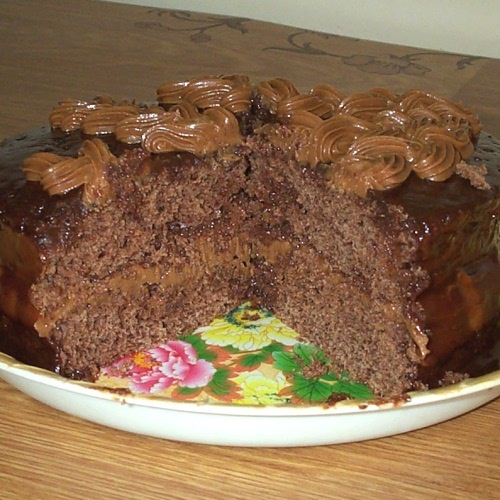 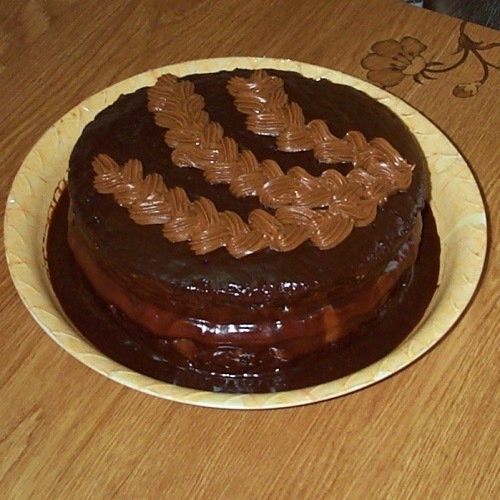 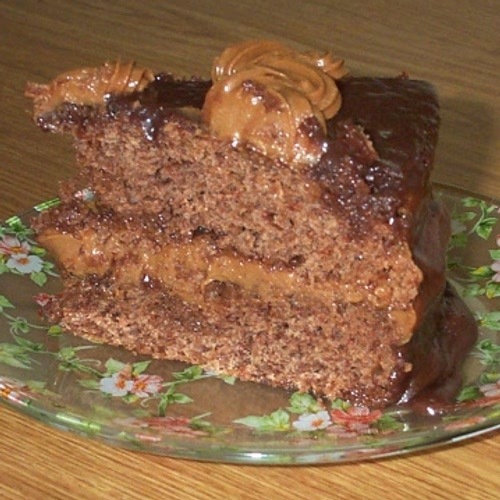 Chocolate cake with chocolate icing and butter cream, You can use kerob instead of cocoa. 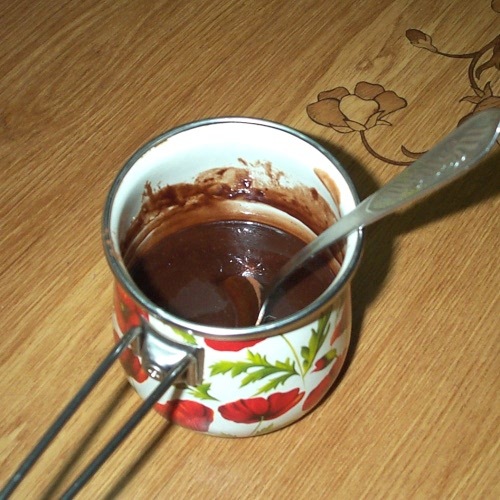 In this recipe I have used cocoa. 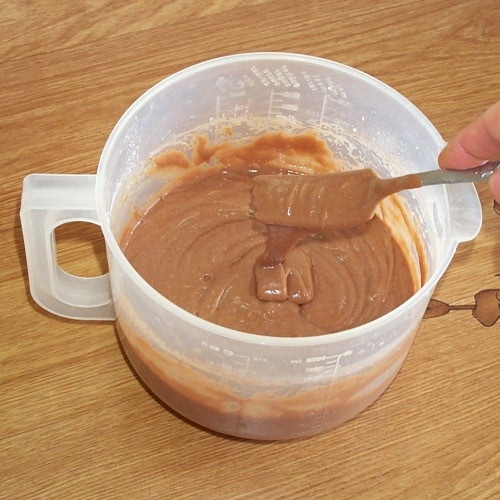 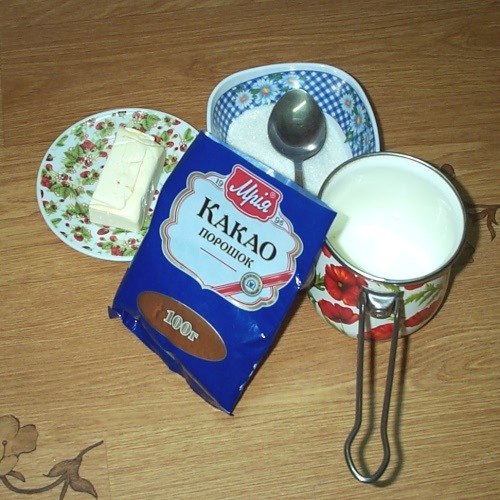 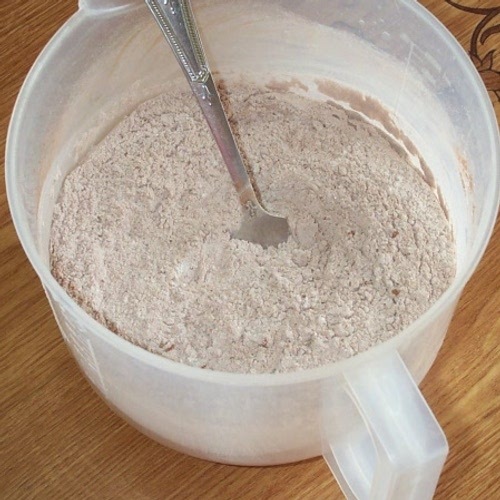 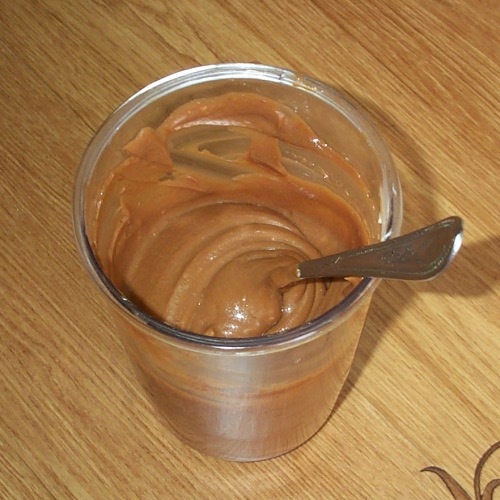 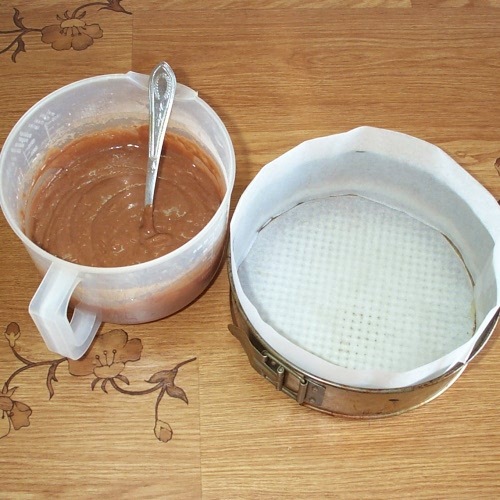 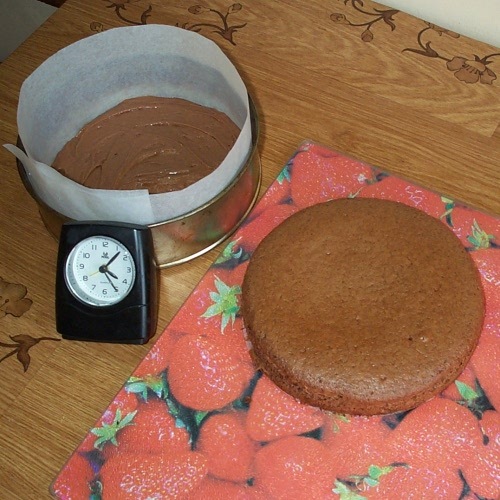 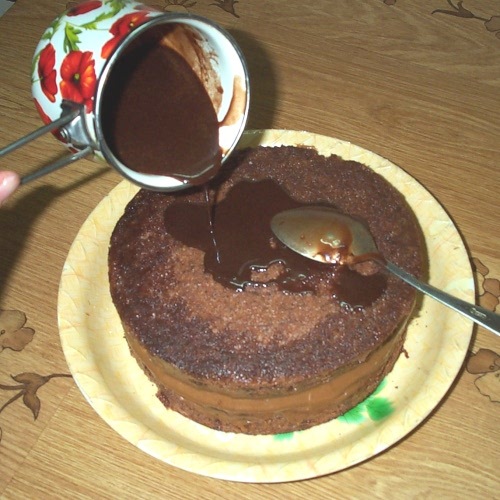 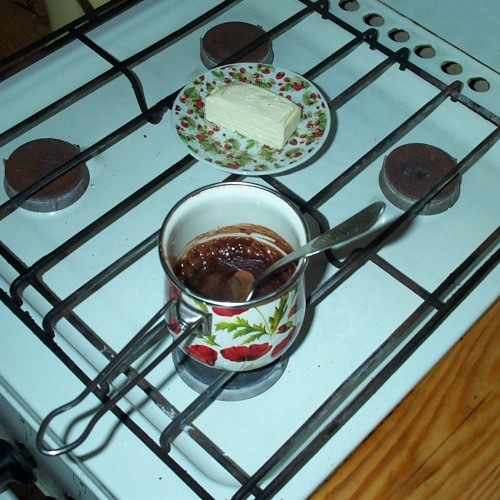 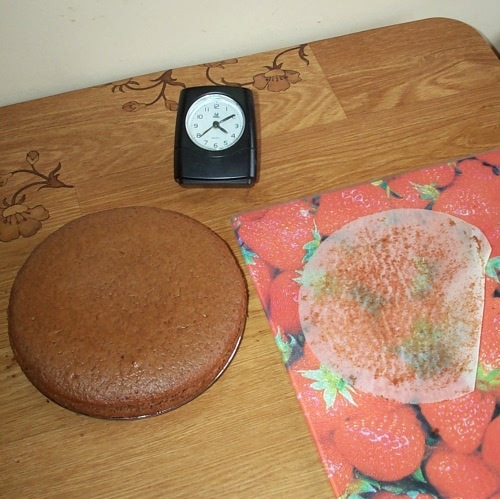 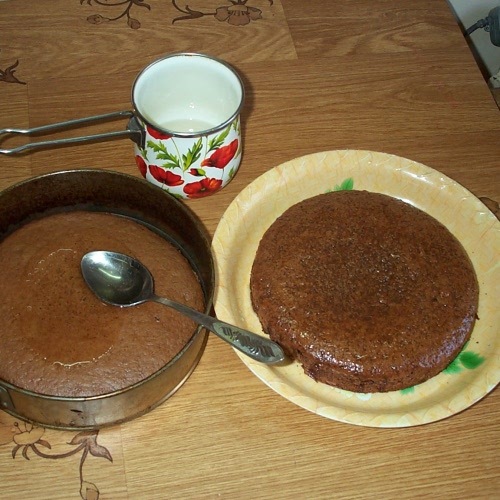 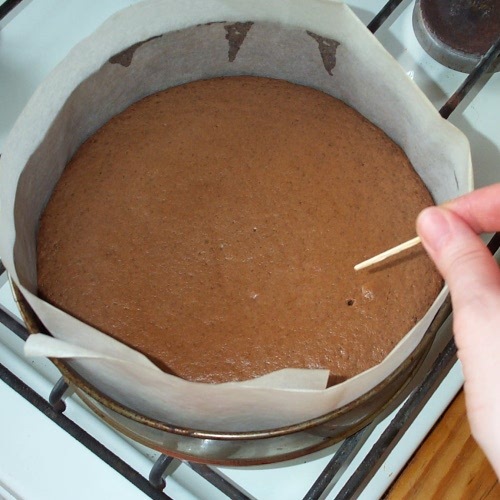 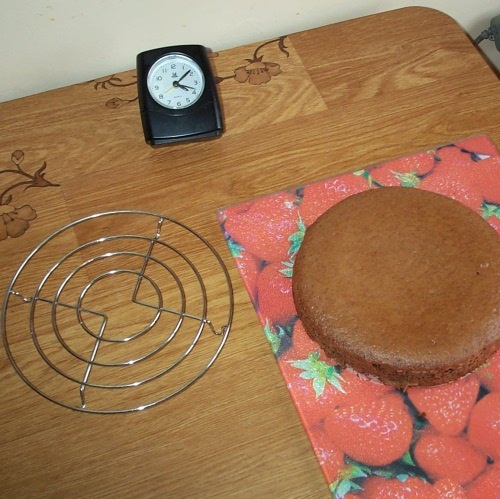 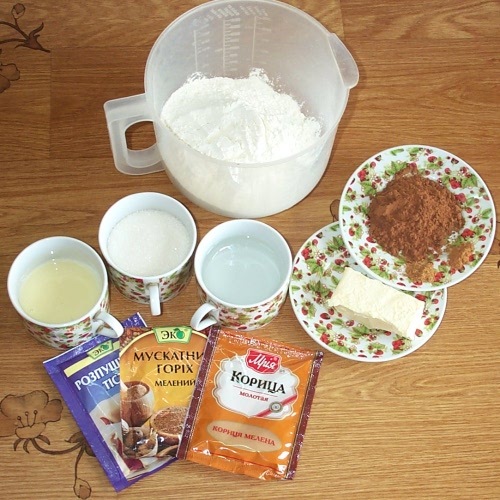 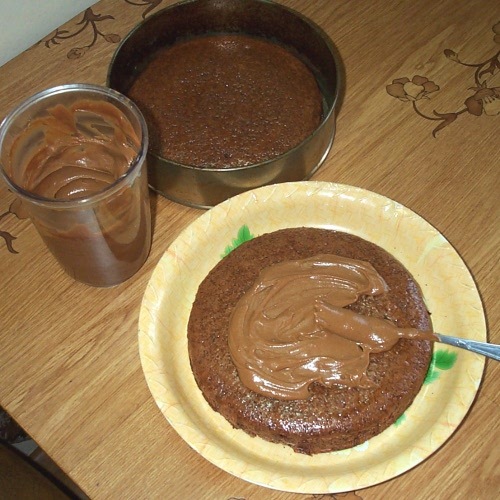 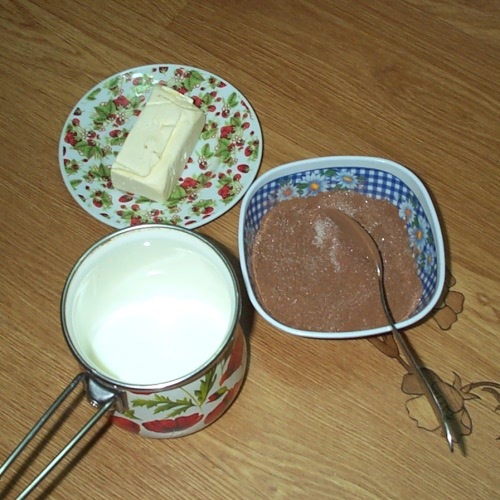 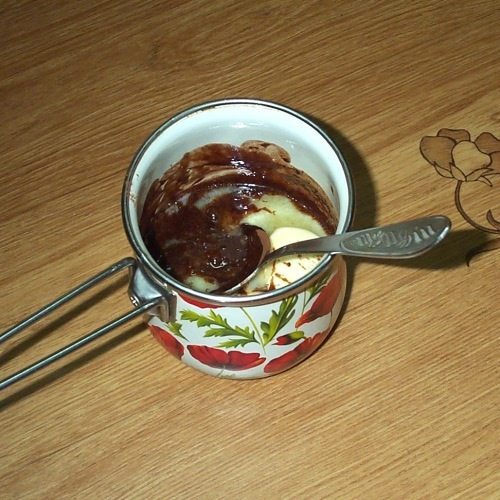 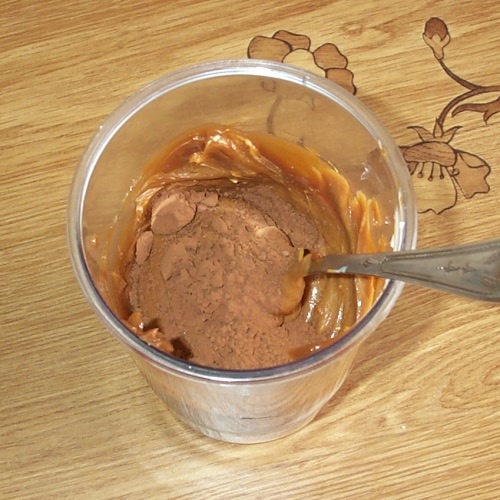 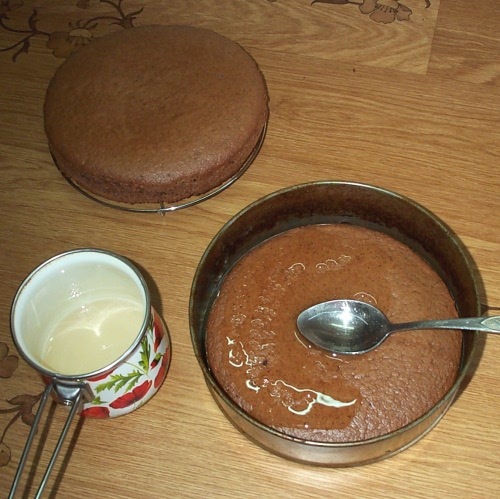 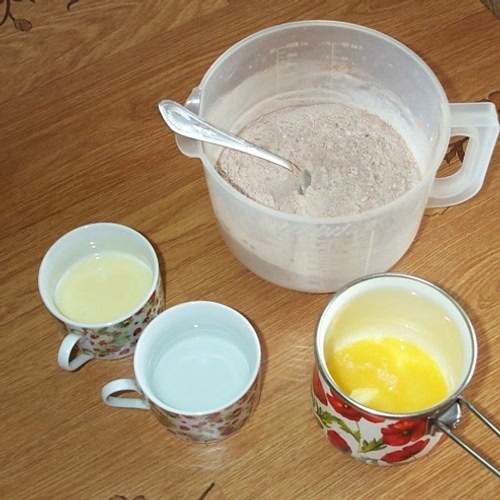 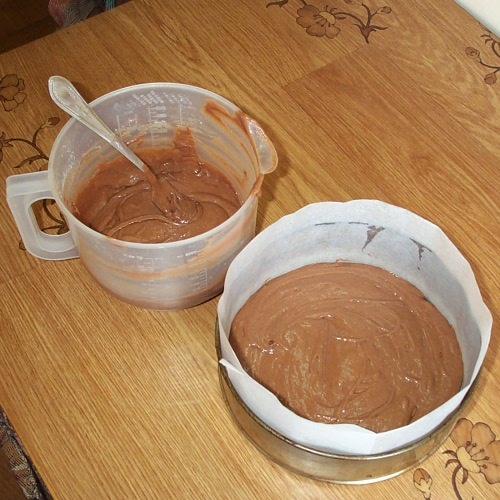 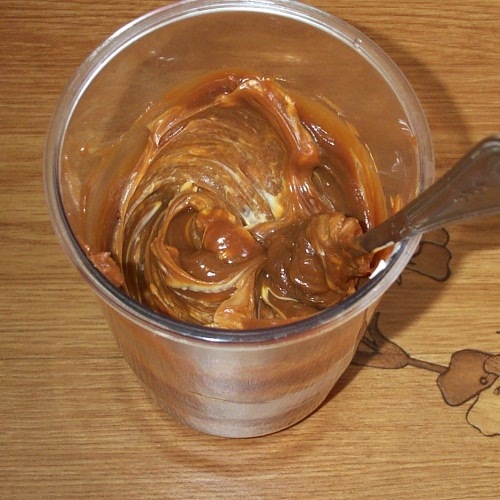 Frosting: mix sugar with cocoa; add the hot milk and boil until the sugar is dissolved; remove from heat and add the softened butter; mix well; pour hot onto cake.